Doug Michelman is president of Sprint’s 1Million Project and President of the Sprint Foundation. In his role with the 1Million Project, he directs Sprint’s initiative to help close the Homework Gap by providing free devices and free wireless service to 1 million low-income high school students who can’t complete their school assignments at home because they lack internet access. With the Sprint Foundation, he oversees efforts related to corporate inclusion and diversity programs, and community relations and outreach. 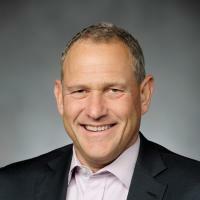 Michelman joined Sprint’s leadership team in December 2014 as senior vice president of Corporate Communications, and served in that role until April 2017. Previously, he served for 10 years as chief communications officer for Visa, where he oversaw global media relations, public affairs, industry analyst relations and financial and communication strategies. Michelman guided communications for Visa’s IPO and led the development of the organization’s corporate values. He also established Visa’s corporate responsibility and philanthropy programs. Prior to Visa, Michelman served in various roles at Fleishman Hillard, including regional president and senior partner. In addition to his many years of corporate experience, Michelman’s communications background also includes staff positions for two presidential campaigns. Michelman’s career has taken him to several cities, including a four-year stint in Hong Kong, China. Michelman is a graduate of Duke University and currently resides in Kansas City.